Whether you’re preparing to enter a New Year of a new day, it’s vital that you understand the distinct difference between a want and a desire. So what’s the difference between wants and desires? Wants are more like wishes. Then you go from wanting to continued wishing. A desire doesn’t wish. A desire DOES. When you understand the distinct difference between the two, you’ll never be in a state of WANT again. When you allow yourself to tap into the power of DESIRE, you access an infinite, divine possibility. Because it’ll allow you to actually DO. Are you sitting around wanting or wishing for something to change, but are unwilling to change? Don’t miss out…and then become a victim to your circumstances. If you do, then you’re VOLUNTEERING for those circumstances. Volunteers step into the desire that leads to DOING. Volunteering means you signed up for it. You’re a willing, able, conscious participant. You SHOW UP. You’re ALL IN. You’re doing and living your life well. 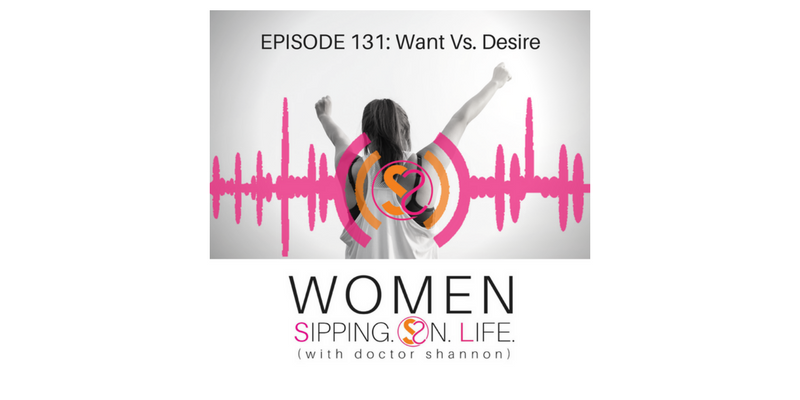 You’re doing life from a state of DESIRE versus WANT, NEED OR GREED. Want leads to more needs. And when there’s more need, a lot of times there ends up being greed. Why? Because it feels like there’s not enough to go around. It feels like there’s lack. It feels like there’s NOT ENOUGH. If you desire something NEW for your New Year, new day, or something MORE…then today’s the day to tap into the desires of your heart. That way you’re able to DO based on the inspiration you find within you, versus wishing and wanting. If you desire something different than you’re experiencing right now, create something different. If you desire different, then be willing to become different. If you desire NEW, then it’s time to get a new perspective. If you can get a new perspective on the difference between a WANT and a DESIRE, everything will change. Write down what you DESIRE. What are you committed to doing? What are you committed to experiencing and CREATING?